OMGosh, you are singing my song! Work, sleep, and 2 sickies to tend to. 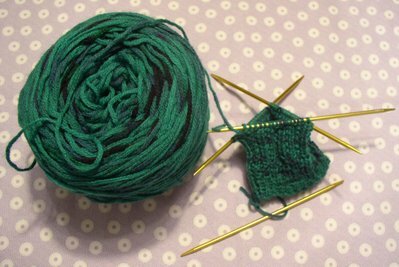 I'm knitting as fast as I can, but I'm not holding out a lot of hope right now, lol. I wish I got 3 hours sewing in !!! I know what you mean about bloggers who appear to knit all day long. I'll read a blog that says, "Well, I haven't posted any updates in a week." Then, pictures posted of two sweaters, a pair of socks, and three other projects half-way complete! I guess I'm not a very fast knitter AND I don't have a lot of time to knit!